It doesn’t matter whether you’re a believer, researcher or skeptic of Bigfoot, this new British Bigfoot sighting has got a lot of people scratching their heads. The report was made to British Bigfoot Sightings, which is a group of researchers who collect and study reports of Bigfoot-like creatures from all over the country. The report is fairly lengthy. It says that the man who saw the creature had been on a train that had been going from Exeter to Bristol Temple Meads. Everyone else on the train had been using their cell phones or reading, while he had been more amused with the scenery and the view. The report says he saw something large and black walking in a hunched-over manner in a field, along a row of hedges, about 10 minutes outside Bristol. He speculated that it could have been trying to hide among the hedges or use them for cover. Just a few minutes later, he saw a couple walking in the same field with a dog. He then realized how massive whatever he saw actually was in comparison to them. 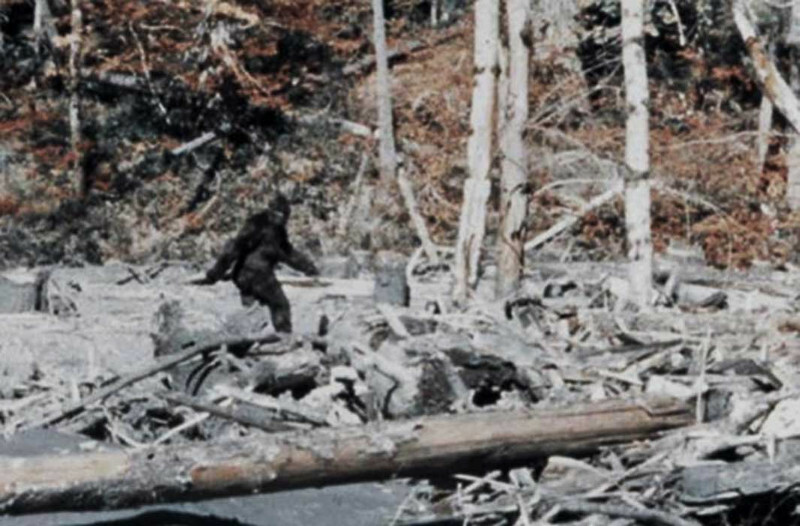 Arguably the most famous bigfoot image ever captured- the Patterson- Gimlin film- shows Bigfoot walking upright, in a hunched-over position. Lots of Bigfoot sightings happen in North America, but Bigfoot experts doubt whether one could exist in the British Isles. 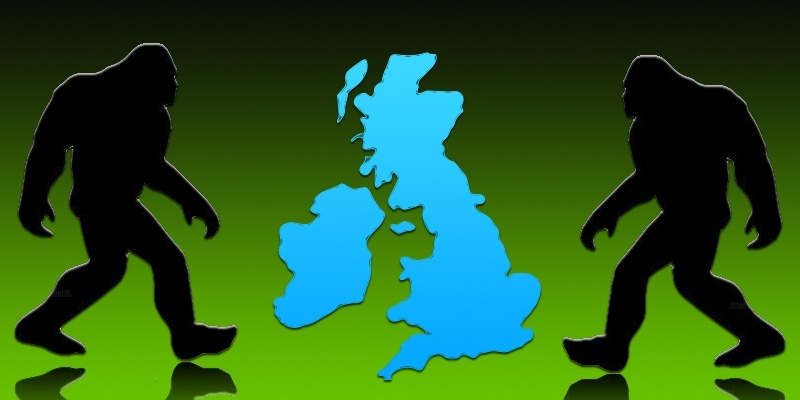 However, British Bigfoot researcher, Deborah Hatswell says a Bigfoot-like creature could very well exist in Britain. She points to the National Eco-System Assessment that the government did in 2012 as evidence. In it, they stated that only 6-8% of the land in Britain had been built on- the rest being forests, mountains, farmlands, etc. The place the eyewitness saw the creature was a wetland near a wooded hillside. There are reports of Bigfoot-like creature sightings in Britain as far back as the medieval times. One such creature is called the Woodwose and it resembles Sasquatch. One of the things about the British Bigfoot sighting that has people slightly skeptical is the fact that it happened in November of last year and is just now being reported. It also only happened for about 5-10 seconds, by the eyewitness’s own admission, yet the report is quite lengthy. But, Debora Hatswell points out that the witness didn’t have an interest in Bigfoot before the incident, but after, he’s found the British Bigfoot Sightings group to report it to, is doing his own research and looking around the woods near his house for evidence of more such creatures.